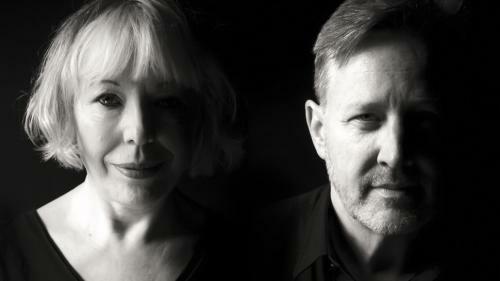 British cabaret dynamo Barb Jungr grew up in Rochdale, Lancashire, just a few miles from Liverpool. So it’s not surprising she has a special attraction to the Beatles. In fact, she told the audience at Don’t Tell Mama on Jan. 9 that growing up in the 1960s, she was convinced her country had produced no modern popular icon. Then the Beatles came along and Great Britain was back on the map. In1957 Edith Piaf gave her second and last concert at Carnegie Hall. The concert included “La vie en rose,” “Padam Padam,” and “L’Accordéoniste.” Sixty years later, on Jan. 6, Anne Carrere dazzled the audience at Carnegie Hall with her brilliant performance in Piaf! The Show. She sang many of those songs the audience longed to hear again. In 2009, legendary film star Debbie Reynolds returned to New York for her first professional appearance in over 25 years — performing her celebrated nightclub act that June at the Café Carlyle. If the recent presidential election has taught us anything, it’s that racism and stereotyping are still prevalent despite polite wrist-slapping by the media elite. A spate of new productions address prejudice in various forms with varying degrees of creativity and imagination. 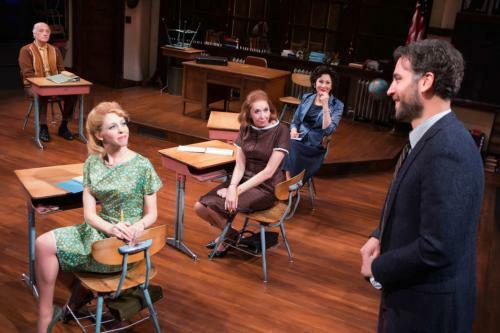 It should come as no surprise that the Broadway entry in this round-up is the softest and least dangerous of the three while the Off-Broadway shows are edgier and more honest. 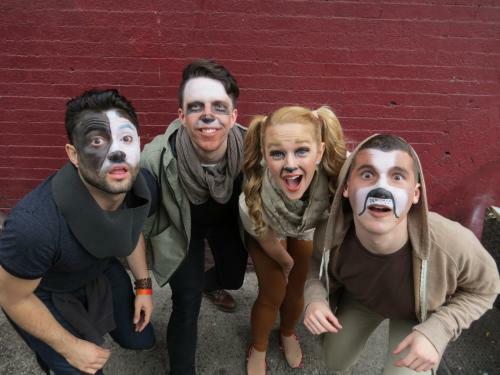 January is always a dark time for Broadway. Many shows survive by having pre-season sales to fill seats during cold, drab January and February. A dozen shows are biting the dust. In most cases, no sooner than they’re gone, new ones will come roaring into town. 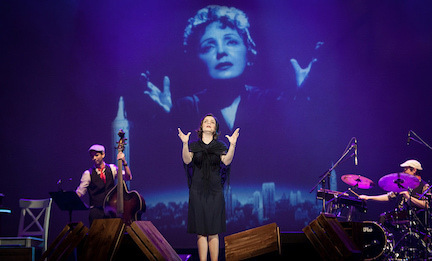 With over a half a million tickets sold in more than 30 countries and worldwide acclaim, PIAF! THE SHOW – a musical celebration of the life and music of the legendary French chanteuse – returns to the US as part of the extended world tour. The moment you enter New York Theatre Workshop for Sam Gold’s searing production of Othello, you know it will be a startlingly different interpretation of Shakespeare’s tragedy of the noble Moor. 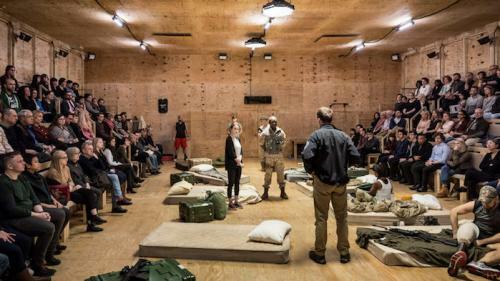 Set designer Andrew Lieberman has reconfigured the normally spacious playing area into a tight, claustrophobic army barracks. Edward Albee, 1928 – 2016, the three time Pulitzer Prize winning playwright and author of the groundbreaking plays Who’s Afraid of Virginia Woolf and The Zoo Story, passed away at his home in Montauk on September 16th. His life and work were remembered on Tuesday, December 6th at The August Wilson Theatre on Broadway, where he was eulogized by colleagues and friends. Among them, Jack Lenor Larsen of Long House Reserve, the actors Brian Murray, Mercedes Ruehl, and Bill Irwin, as well as playwrights, Terrence McNally, Will Eno, John Guare and directors Emily Mann and David Esbjornson, to mention a few. 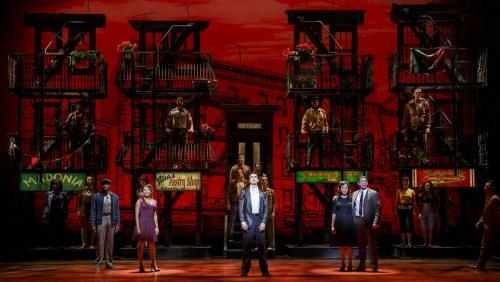 Transportation plays a part in two new stage productions in NYC and while they both have a few pleasant stops along the way, the ride is over familiar territory. June 4, 2017 at 8:00 PM at The Town Hall (123 W. 43 Street). 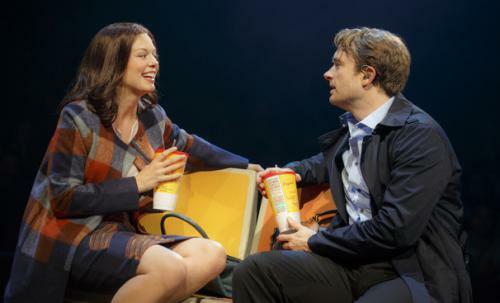 Fontanne Theatre through Nov. 13 is an eclectic selection of songs and personal reminiscences. The best thing about Sgt. Stubby, The Great American War Dog Musical is that the show sheds light on a remarkable canine and his heroic efforts during World War I. Stubby, the official mascot of the 102nd Infantry, was a stray that served in the military for 18 months participating in 17 battles on the Western Front, while ultimately becoming a decorated war hero and being promoted to the rank of Sergeant in the process. At home his feats were front-page news documenting how he saved his regiment from a surprise mustard gas attack, rescued the wounded, and once even caught a German soldier by the seat of his pants holding him prisoner until American soldiers found him. cast of actors tightly on his heels. And what a cast it is!